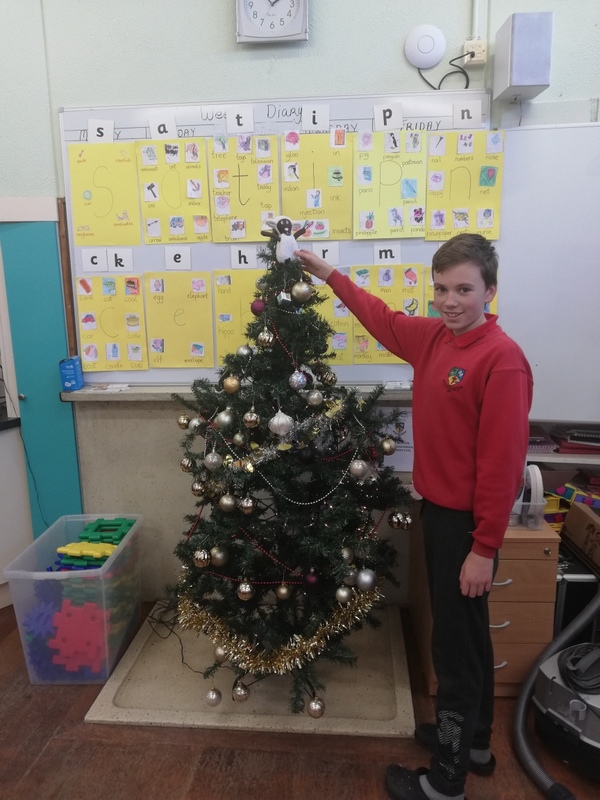 6th Class performed their annual duties in decorating the school for the Christmas period. 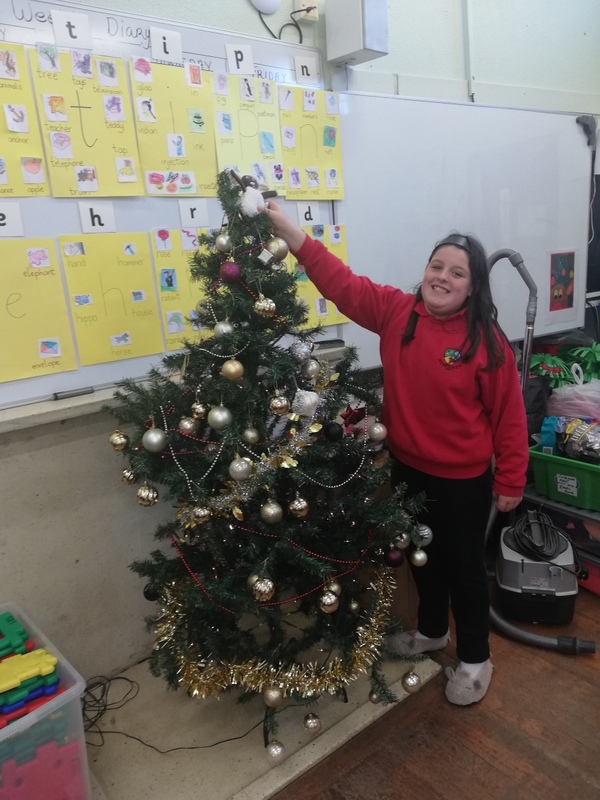 They had great fun doing it and we all agree the school looks great!! Mara is the youngest and as per tradition she got to put the sheep on the top of the tree. 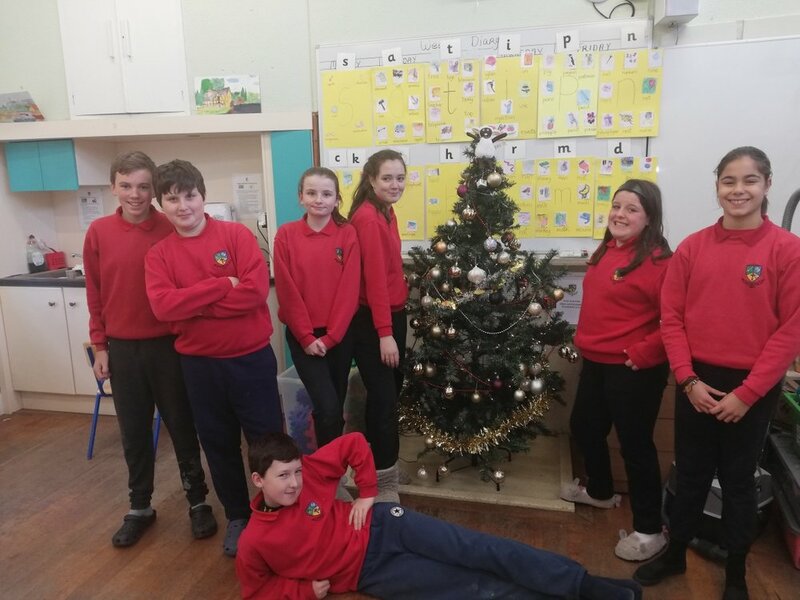 Thank you to all the 6th class pupils.